February 14, 15, 20, 21, 22, 28, and March 1. A pair of sweet Scandinavian hit men in Minnesota may have been hired by a young woman who bonds with a new friend over the men who recently did them wrong. “Who knows whether Ms. Swanson is an original theatrical voice? 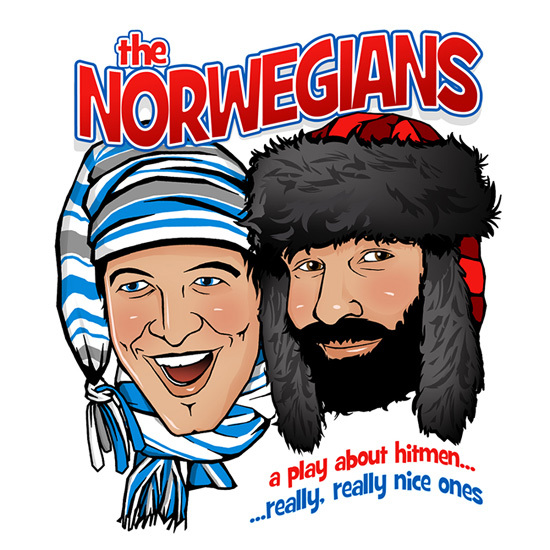 There is every chance that she wrote ‘The Norwegians’ after falling asleep during a late-night rerun of ‘Fargo.’ But this profane, playfully dark comedy is often hysterical.” Anita Gates, The New York Times.